The Holy Metropolis of Thebes and Livadeia has issued that the celebration of the Boeotian Saints be held each year on the last Saturday of May. 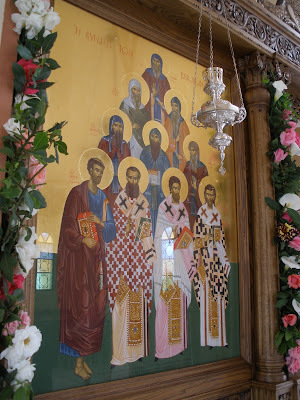 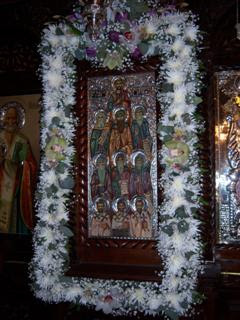 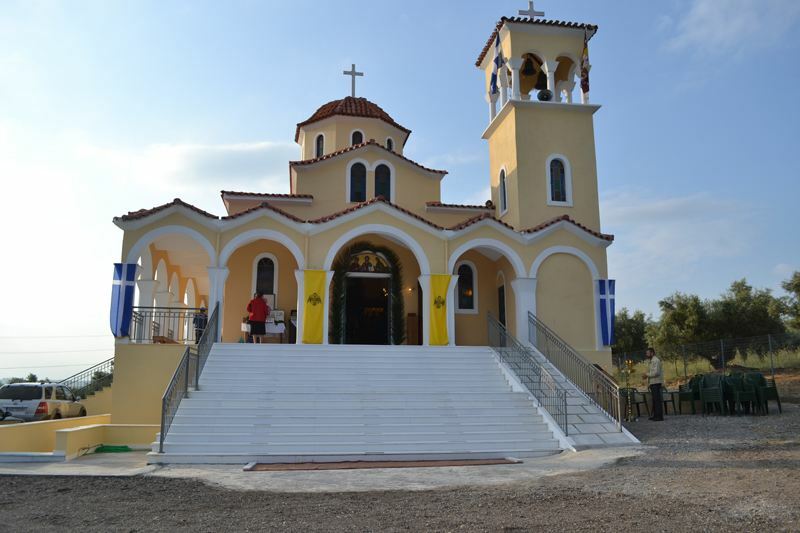 And in May of 2011 Metropolitan George of Thebes and Livadeia consecrated a church to All Saints of Boeotia as well as Saint John the Russian in Elaiona, Thebes. Let us praise the guardians of Boeotia, Luke the Apostle, Rufus, Luke the boast of Steirion, Seraphim, Niketas, Clement, Meletios, Reginos, both Germanos and John the wise bishops, and Kaloktenis, whose unhesitating entreaties to the Savior are received. 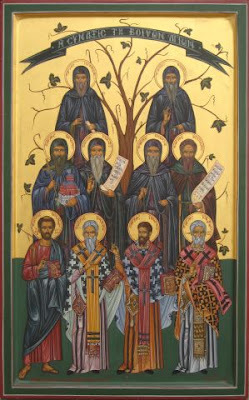 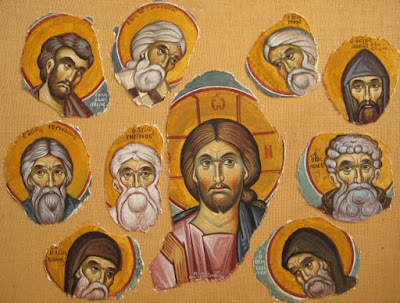 Let us sing hymns to the ten-fold choir of Saints, the luminous patrons of Boeotia, who did shine upon it with their bright lives, in various times, glorifying Christ, and were luminously glorified, ever intercede on our behalf, those who praise you in this assembly. 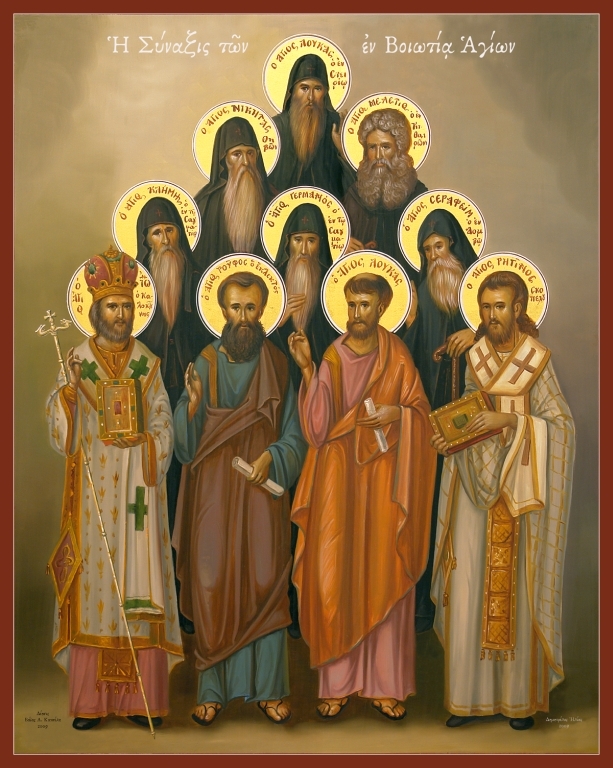 Rejoice, the revered ten-fold chorus of Saints, aides of Boeotia, fervent mediators to the Master, and the ornaments of the Church.